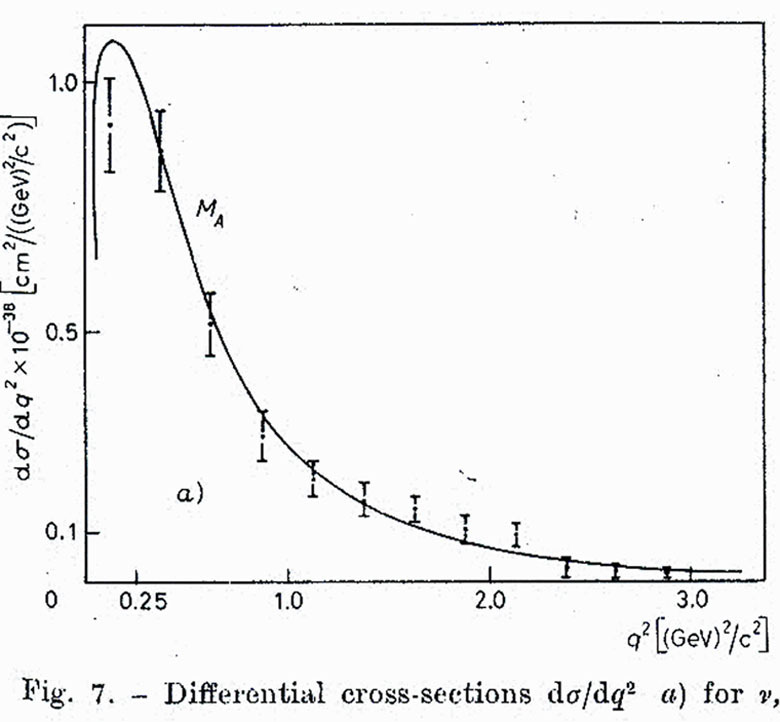 Deuterium-Hydrogen Experiments (first paper on D2 and H2 experiments). 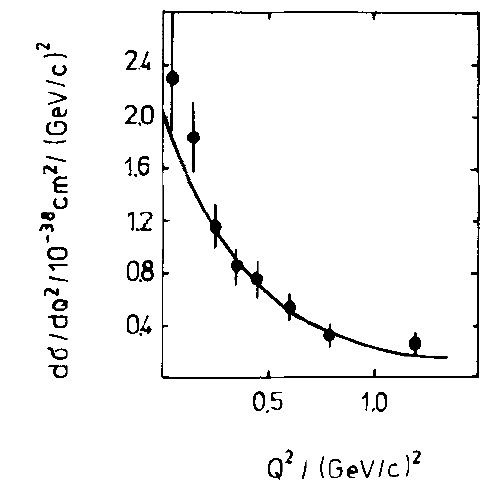 2) Duality Constrained Parameterization of Vector and Axial Nucleon Form Factors. A. Bodek, S. Avvakumov, R. Bradford, H. Budd (Rochester U.) . Aug 2007. 4pp. 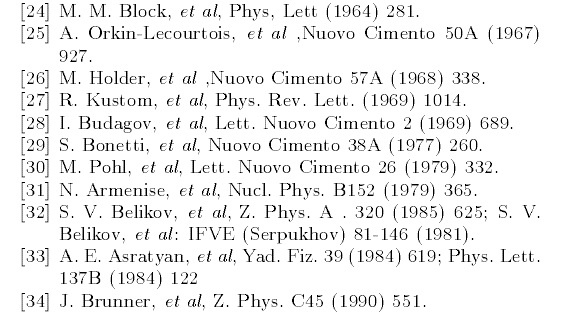 References 29,30,31,33,34 are for the second paper on heavy targets. 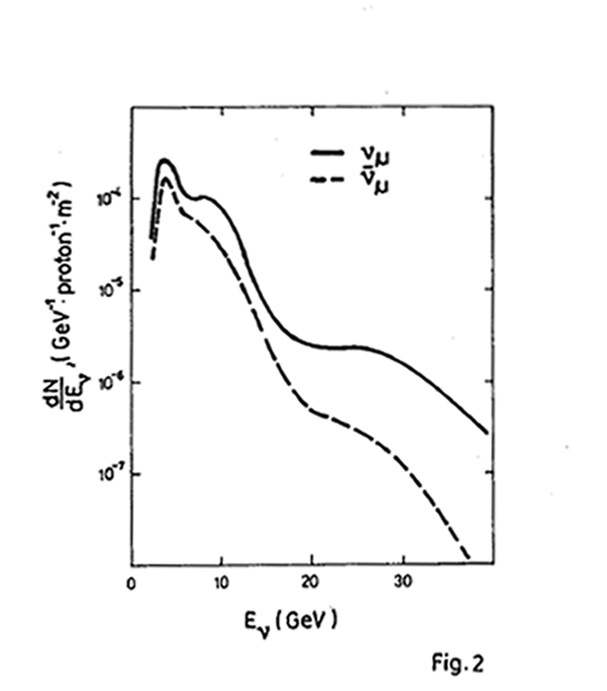 Neutrino energy used, Enu> 1.5 GeV. 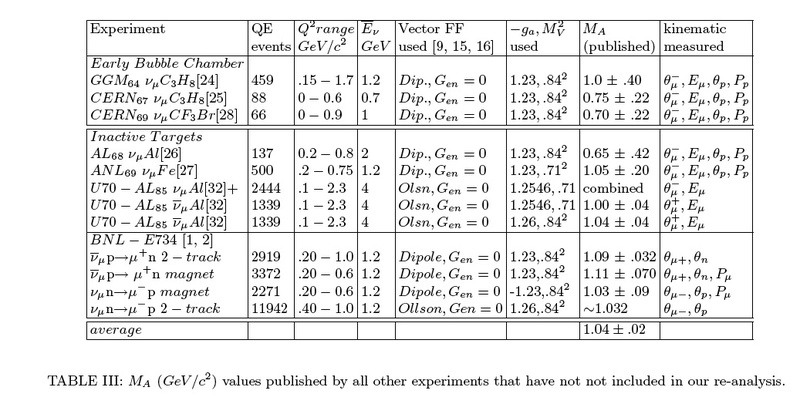 Mean neutrino energy about 2.5 GeV. 697 neutrino events, 476 antineutrino events. (all data in table used). for missing energy (shown to be 6% on average). 0. They use all of the Q2 bins , Energy cut is 1.5 GeV. Model was corrected for fermi motion and Pauli and resolution smeaing. 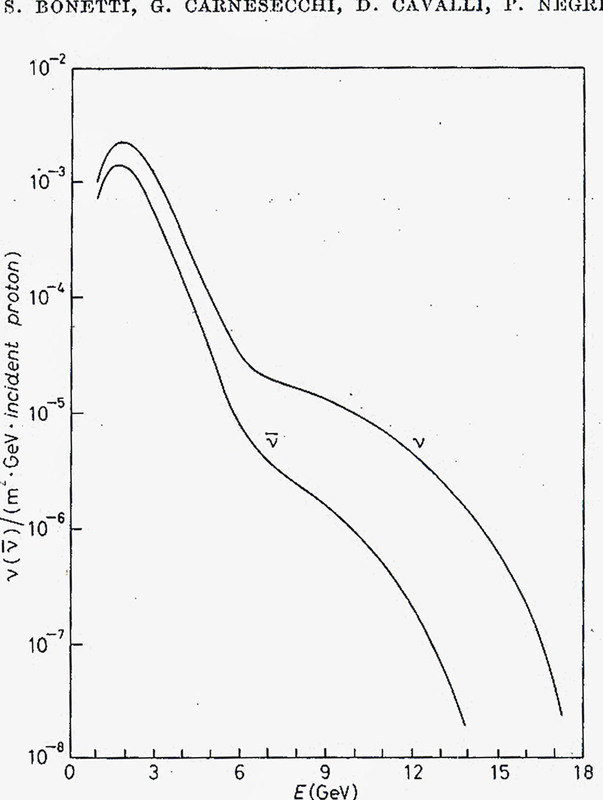 Data is not corrected for Fermi motion, or Pauli, or resolution. 0. They use only part of the Q2 bins (0.15 to 0.6), Energy cut is 1 GeV. we need to apply Pauli correction). 1. remove first bin in Q2 Calculate Delta M2 for this removal of first bin. 4. reapply nuclear binding corrections with Eb=20 MeV (they most likely use free kineatmics). 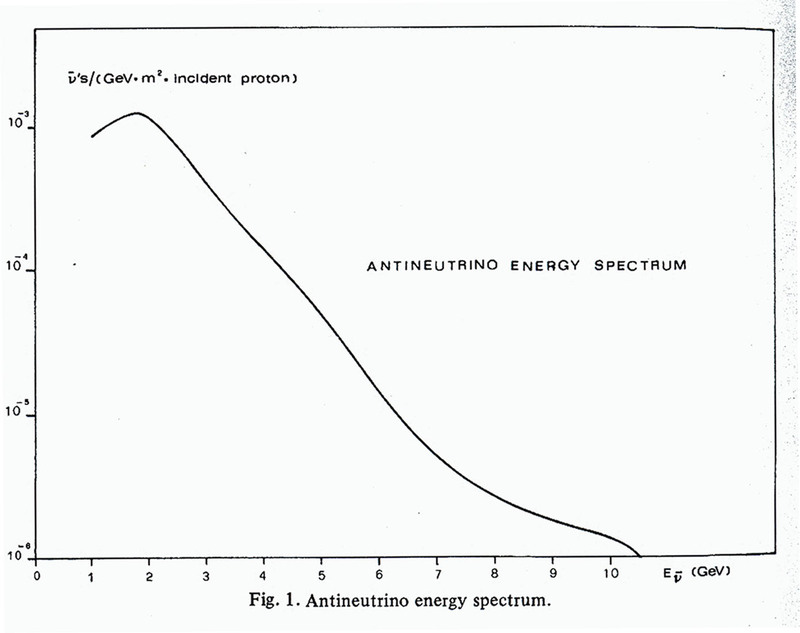 antineutrino energy is 6 GeV. 540 neutrino events, 159 antineutrino events. 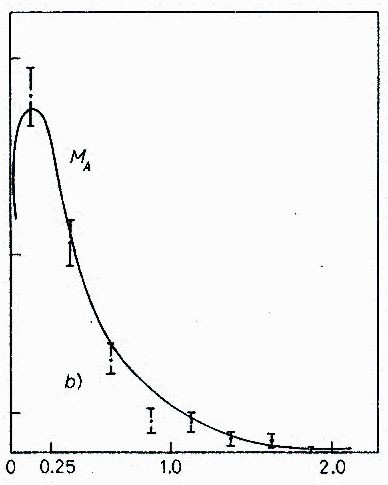 Data corrected for Pauli principle and Fermi motion. 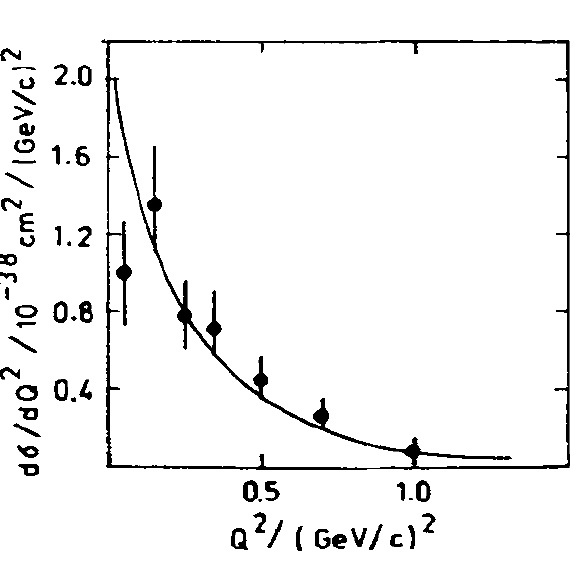 For antineutrino Evis from Muon energy and angle, assuming Eb=0. 0. Energy cut is 3 GeV. 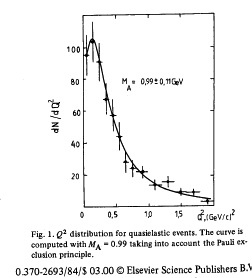 1. remove first bin in Q2 (they applied Pauli corrections already). - Do not apply Pauli to model. Calculate Delta M2 for this removal of first bin. 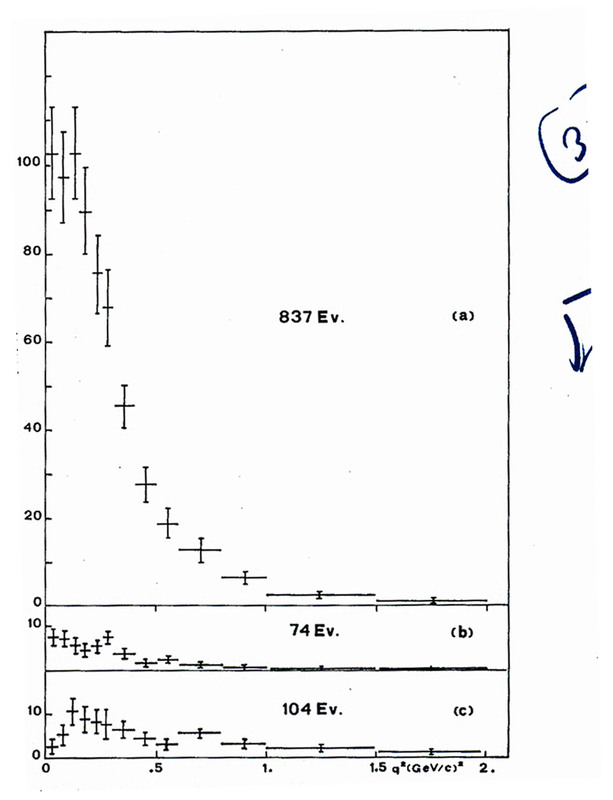 4. reapply nuclear binding corrections with Eb=20 MeV (they use Eb=8 MeV for neutrino and Eb=0 for antineutrino). 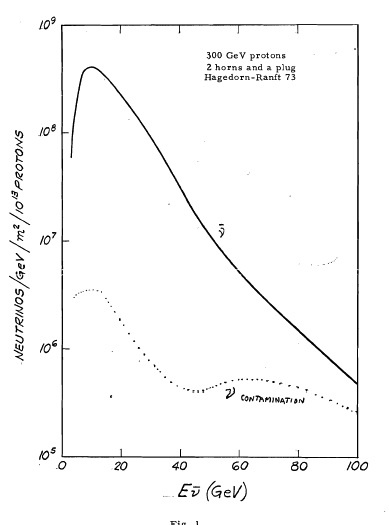 CERN 79 (ref 30) (Experiment same as Bonetti 77. Flux same as Bonetti 77. 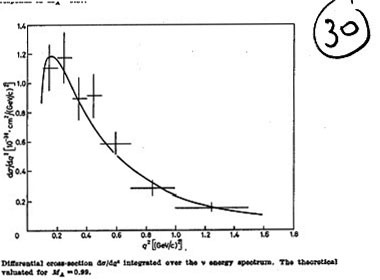 They use neutrino energy greater than 1 GeV, Mean neutrino energy 2 GeV. 556 events which become 622+-37 after corrections. the model. (found to be 35%). 0. 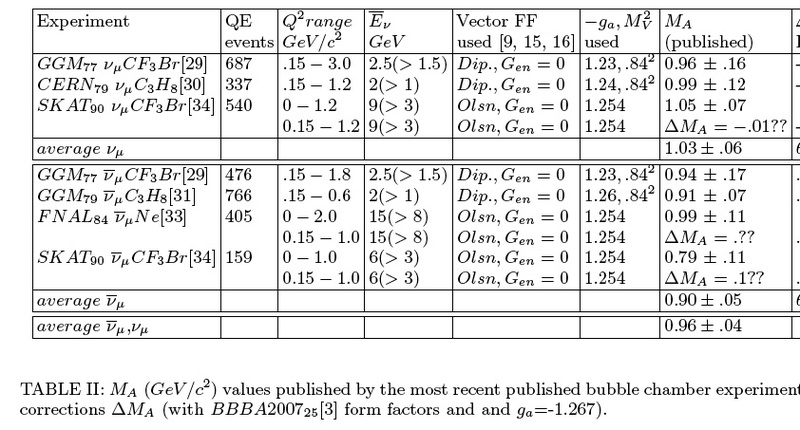 They use all Q2 bins (0.15 to 1.8) Energy cut is 1 GeV.